Long time readers or even the newer, avid ones know that I have been juicing for several years now and that Tanya decided to get into it shortly after she moved here. In fact, in June she released her first book, Faces of Juicing, Visual Juicing Recipes. As a result of our marketing of her book we became aware of other health related businesses that belonged to friends of ours, one of which is Raw Box Organics, out of Tampa, FL. Raw Box Organics delivers fresh organic produce each week from their truck to your home; getting all of their products from the harvests of local farms. Keeping it local not only supports the local community but it also ensures that the produce is as fresh as humanly possible. In order to guarantee freshness they only deliver in the Tampa–St. Petersburg–Clearwater areas. They do not ship. My regular readers will likely recall that a couple weeks ago I did an article about my friend, Tim, who was adopted at birth and learned this at the age of 7. About 15 years ago he started working in earnest to discover who his birth mother was. He was not having much luck until last December when he learned about 23andme.com, a center that does genetic testing for health, disease and ancestry through a DNA test done with your saliva. On December 19, he sent in saliva samples from him and his daughter. A few weeks later he received his results. Although the test results did not provide any information about his natural birth mother, it did provide him with enough leads that he eventually found a Yahoo DNA group which was designed for people that were adopted or had put children up for adoption to discuss their DNA results. It was there that Tim met his search angel, Diana. Back in April, when I made my first visit to Rock & Brews, I was walking around checking out the artwork decorating the place, I could not but help notice among all the rock and roll images was a lone banner on the center of the main wall. On it was the image of one soldier carrying another, obviously wounded soldier, with the words, “Wounded Warrior Project” below. Upon closer inspection I could see that it had been signed by many people from different branches of the armed forces. 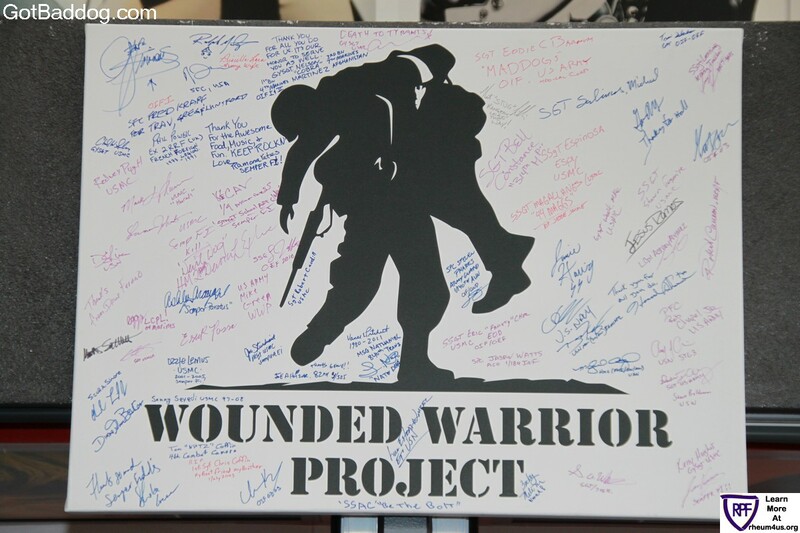 I made a mental note to investigate the Wounded Warrior Project and see if there was some way I could get involved.